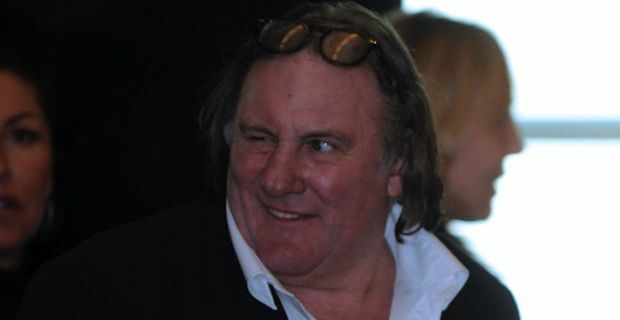 In France, as in a lot of other countries around the world, many people didn't take too well Gerard Depardieu's convenient relocation to Néchin (Belgium) - a town minutes away from the french border - carried out to avoid paying a higher tax rate in his home country. Les Inrockuptibles, an almost unpronounceable popular weekly magazine, has decided to go one step further by publishing a fake obituary to criticise the french tax dogger. The title states: 1948-2013: c'etait Depardieu (which translates in '1948-2013: it was Depardieu'), the rightful overture for a vitriolic article that expresses all the disappointment caused by the actor's move by declaring that, in order to still be able to appreciate his contribution to the cinema industry, it would be more appropriate to consider him dead. It's a bold editorial decision, but has to be said that the managing editor, journalist Audrey Pulvar, has virtually nothing to lose, as she's only weeks away from leaving her job. Resignation papers, which will be effective before the 21st of February 2013, have been handed in last December following a very public row with the publication's owner, banker Matthieu Pigasse. Pulvar accused him of not keeping up with the promises he made when she started, and instead of dealing with a generous budget, she was forced to work with an extremely limited amount of money. On the other hand, Matthieu Pigasse declared that what really strained the relationship was Pulvar's moods and attitude. He accused her of being an ephemeral muse of the left press, and of basking in under the wings of her then-boyfriend, Minister of Productive Recovery Arnaud Montebourg.